It’s not the end of the world… It Just feels like it! 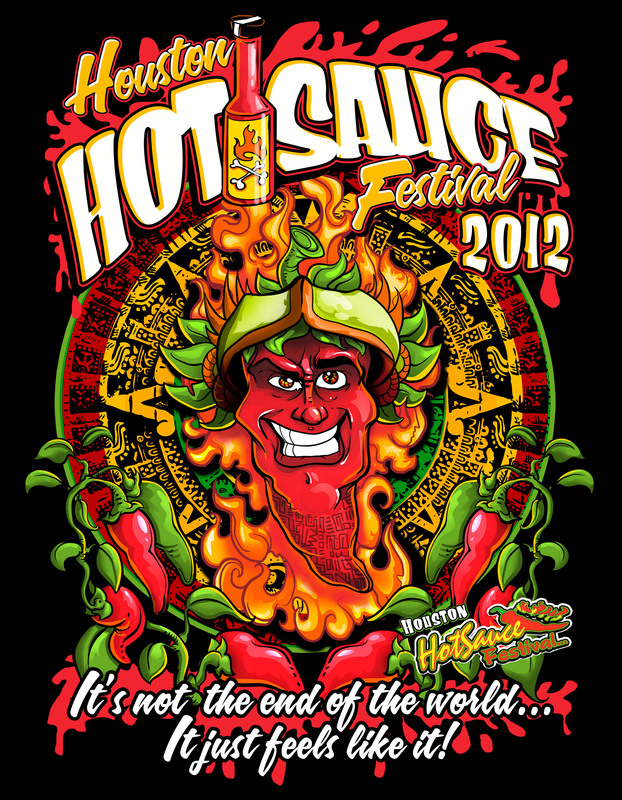 HOUSTON — The 12th Annual Houston Hot Sauce Festival will be held Saturday, September 15, and Sunday, September 16 at the Stafford Centre. The Houston Hot Sauce Festival isn’t all about face-melting hot sauce – we take pride in showcasing products ranging from mild to wild! We have vendors from as far away as Australia with hundreds of award-winning products to excite the senses; salsas, jams, jellies, rubs, marinades, wing sauces, pickled products, soup mixes, sweets, and more. This year we are proud to host Chile Pepper Magazine’s Quest for the Perfect Ribs on Saturday. Six nationally known and awarded BBQ’ers will cook off to claim the title for perfect ribs. We will also have Jennifer Trainer Thomas joining us on Saturday to sign her latest book Hotsauce! that teaches hot sauce lovers how to make their own sauce! Don’t forget to bring the whole family! 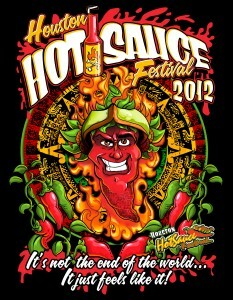 The Houston Hot Sauce Festival has a free children’s area every year. Bring the whole family for plenty of activities, shopping, and food! There will be ongoing live entertainment as well – including the Silverado Band and fire eater, Thomas (flame retardant)Wood! There will also be contests like the Lolli Lick-A-Thon sponsored by Intensity Academy, where participants must attempt to finish a pepper infused lollipop first. The pain experienced during this contest can be almost unbearable. Snowdrop Foundation is dedicated to assisting patients and families at Texas Children’s Cancer Center through funding for continued research to eliminate childhood cancer and scholarships for college bound pediatric cancer patients and survivors.